Here’s an appropriately canted angle of the director’s visage. 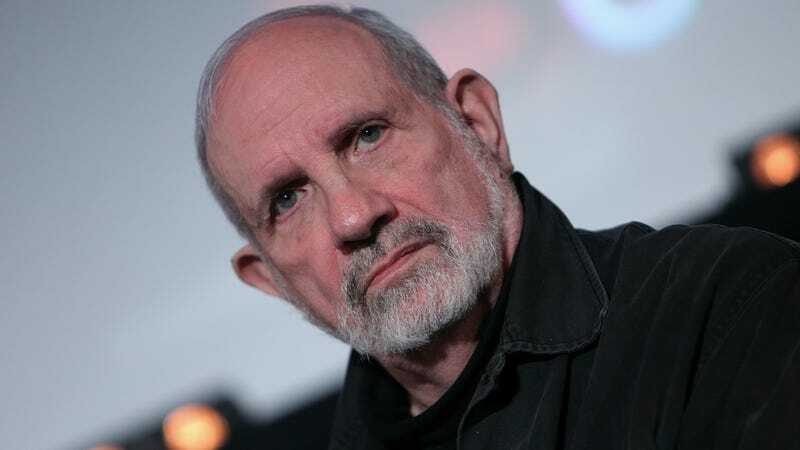 Brian De Palma has been the subject of renewed attention in recent years, despite not having released a film since 2013's Passion. (That’s thanks at least in part to the documentary De Palma, which provided an engaging window into the filmmaker’s career.) And now, it sounds like the director is ready to scare the crap out of audiences: Not through supernatural means, mind you, but simply the stomach-churning horror of current events. I’m writing a film about this scandal, a project I’m talking about with a French producer. My character won’t be named Harvey Weinstein but it will be a horror film, with a sexual aggressor, and it will take place in the film industry. It’s been a long time since De Palma delivered a horror movie—his last attempt at the genre is arguably 1992's Raising Cain. (2006's The Black Dahlia is more of a noir mystery, and 2007's Redacted is, uh, a movie.) And if this project comes to fruition, it might wash the bad taste of De Palma’s last attempt to make a movie out of his mouth. Domino, a film he recently shot in Denmark and Spain, was, in his words, “a horrible experience. The film was underfunded, it was far behind, the producer did not stop lying to us and did not pay some of my staff. I do not know at all if this feature will be released.” Ah, the magic of movie-making!